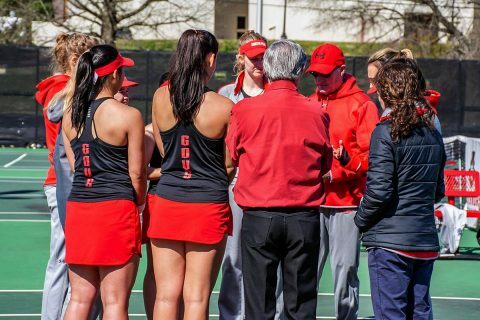 The match, originally scheduled for Friday, is part of the Heritage Bank Battle of the Border series and will still take place outdoors on Murray State’s tennis complex. With a win, the Governors will eliminate the Racers from the Ohio Valley Conference Regular Season title race. Stay tuned to @AustinPeayWTN on Twitter for any more updates or changes in the future.